We had the opportunity to interview Katie DeNure, a talented and certified ukulele, guitar and voice teacher in the state of Wisconsin. DeNure operates the successful “One Music School” YouTube channel, full of engaging educational videos for any ukulele enthusiast. I can’t remember a time where I wasn’t surrounded by music. As a little girl, I was constantly singing. Once I started to learn how to play the piano, I felt a drive to learn as many instruments as I possibly could (flute, guitar, ukulele, penny whistles). When I was 17, I became very ill and I completely lost my voice, and that turned out to be a blessing in disguise. My speech pathologist assigned me classical voice training as part of my rehabilitation, and the new voice that emerged from that painful time was stronger than I could’ve ever imagined. What/who inspired you to teach ukulele/guitar/voice classes? I earned my teaching degree in 2007, and taught Bilingual Language Arts for many years. I was very humbled by the fact that people kept asking me if I would teach their children how to play the guitar/ukulele and sing, but I disqualified myself at first because I didn’t have a music degree. Eventually, I started teaching music lessons on the side, and the demand became so great that I left my teaching job and now teach music lessons exclusively. I love empowering and encouraging someone else to be able to do something that they thought they could never do. As teachers, we know that we are not just teaching people how to read music or play their favorite songs. We know that we are really teaching patience, gratitude, and perseverance. I’m so grateful to be able to do what I do, and I hope that my students use their gifts to encourage others. In ten years from now, I hope to be coaching other teachers and entrepreneurs. I want to equip them with the logistical tools that they need in order set up and improve their business so that they can pass on their passion and love for arts to their students. I also hope to be singing and playing along side my daughter. She’s only 18 months old right now, so it would be thrilling to hear her sing and harmonize with her. Try to “stay in your lane”. It’s very easy to look at someone else’s greatness and only see your own shortcomings. Try not to look on either side of you because everyone was not designed to run the same race at the same pace. Focus on progress and not perfection. If you are better than you were yesterday, celebrate that growth, and keep moving forward. Do the best you can with what you have, and don’t give up. Visit One Music School for ukulele, guitar and voice lessons. 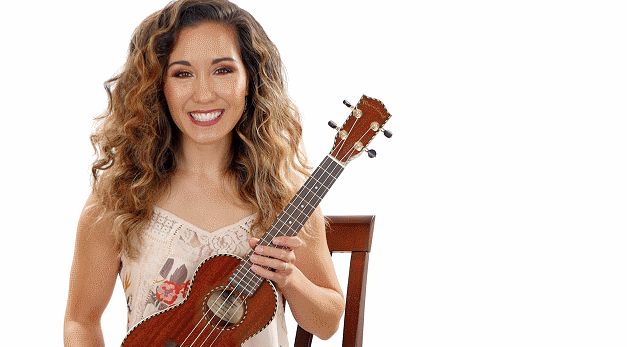 Read more about the top ukulele tutorial YouTube Channels. Can you do a tutorial on Dream Lover, I saw you perform one verse on you tube and it was excellent.